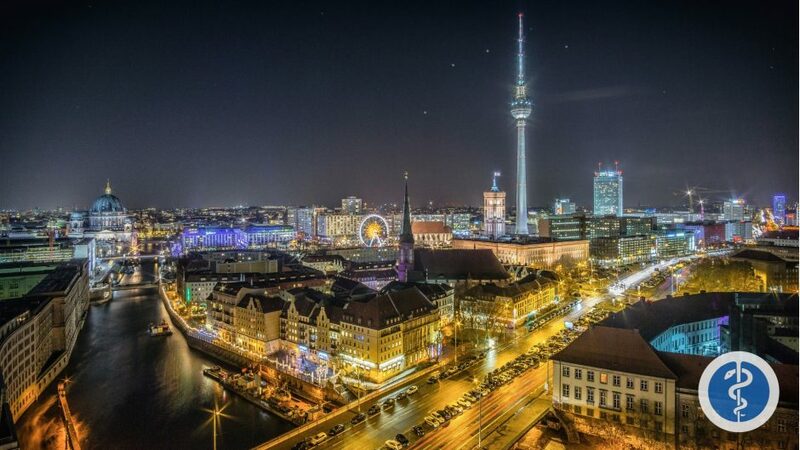 Berlin is Germany’s historic capital whose vibrant city has a wide dynamic of art and music. 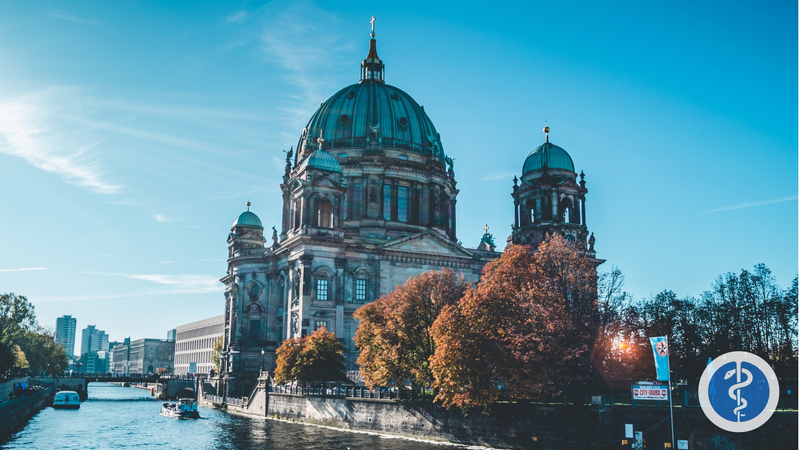 There is an endless amount of history to discover at the many famous historical sites such as the memorial of the Berlin Wall, Checkpoint Charlie, The Brandenburg Gate, The Reichstag, Museum Island, The Gendarmenmarkt, and many many more. There is nothing more uncomfortable and tummy aching than having to travel on an empty stomach because you know you have several allergies to certain foods, and you are unsure if waiters understand your concerns. Being very aware of your conditions you bring a protein bar with you just in case something does not seem right with your meal. Let’s say you decided to be adventurous and outdoorsy, and chose to go for a hike along Eichwerder Steg – Tegeler Fließ in Lübars Loop from Reinickendorf trail. As you proceed with the hike you remember that you had not eaten that morning and begin to grow hungrier and hungrier. You eat your small protein bar but realize you still have more than half the trail to hike. You finally reach the end of the trail and are starving! So you immediately go to a highly recommended restaurant on Yelp near you. All you can think about is eating and fast. You completely forget to warn the waiter about your allergies. Half way through your meal you discover that there is something in your meal that isn’t settling right. You immediately Google an English speaking doctor near you and discover TripMedic. In Berlin, the law requires for all residents to have health insurance, including expats and the self-employed. Those who work on salary generally are assigned to the public health care system, with monthly contributions taken out of their paychecks. A major benefit to public healthcare in Berlin is that it extends to dependent family members as well. There is no additional fee for your non-working spouse and/or children. With private insurance, you would have to get your family insured separately. Private healthcare is not available to everyone. In order to qualify you must have a gross annual income must exceed €53,550 unless you are a German civil servant. The maximum premium is lower than that of public healthcare and generally the route for an adult in good health who do not have kids and do not plan to stay in Germany indefinitely. If you plan to stay in Germany for a short while only, you may benefit from private health insurance. But for a longer stay, especially with children, public health insurance is often the better choice. TripMedic is truly an awesome nonprofit organization that saves travelers a lot of time and effort when searching for convenient and fast medical service. We want all travelers to be safe, healthy, and happy exploring their travel destinations. Finding an English-speaking doctor has never been easier! You can book your English speaking doctor by phone or online. TripMedic is renovating healthcare, as we know it. Finding healthcare abroad is becoming more efficient, specific, and accessible as TripMedic grows. TripMedic helps avoid that language barrier that causes frustration for the patient and doctor. It also makes the patient feel at home and understood, which overall causes comfort and helps the healing process. Now that you have booked your appointment and learned more about TripMedic in Berlin, sit down, take a breath, and enjoy the rest of your travels! Once a month we send out an email with a summary of the new blog content.